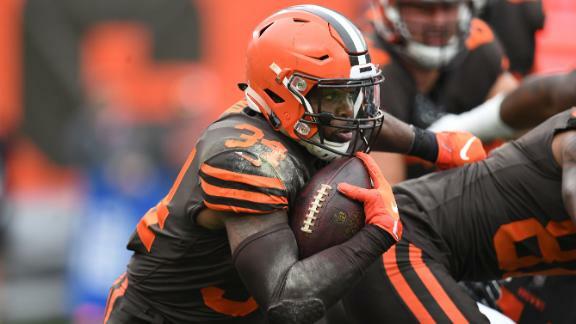 Duke Johnson held back by Browns' success? 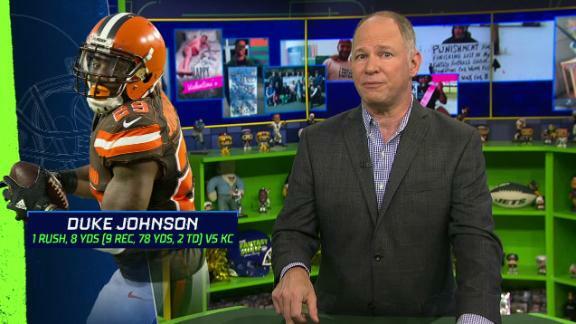 Can Johnson capitalize for a 3rd straight week? Can Johnson build off strong performance? 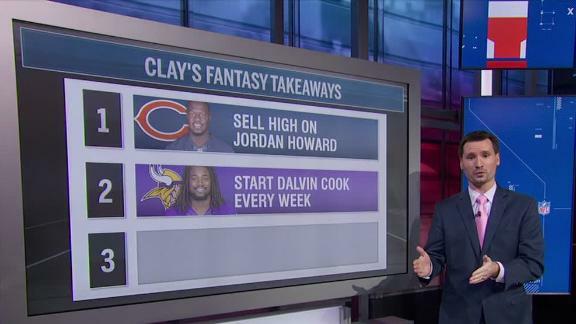 What should fantasy managers do with Howard, Cook and Johnson? Today's NFL rumors include updates on Andre Williams, Dwayne Bowe and Anquan Boldin. The names of running backs will continue to roll in, but for now, the Dallas Cowboys are going with what they've got. Which player from each team will have a breakout fantasy season? NFL Nation reporters break down who they expect to be this year's breakout fantasy player for each team. Monday's rumors include the status of a pair of Steelers players, the Browns' running back situation, and the NFL's possible return to Los Angeles. Here's a look at some of the top rumors for Thursday, August 6: Cleveland Browns quarterback Johnny Manziel will get first-team reps in Friday's intrasquad scrimmage at Ohio Stadium in Columbus, ESPN's Pat McManamon reports.